The issues of recycling are acute in all countries of the world. If there is to be a constant accumulation of waste in solid form, imminent environmental disaster. The term decomposition of most solid waste is three or four centuries, so there is a danger that the world will kill not nuclear war or natural disaster, and private waste – this is the opinion expressed by many of the world’s environmentalists. Recycling and waste best and businessmen, and ecology, and the city budget. Businessman incurs expenses only at the initial stage, buying the proper equipment. Moreover, companies that are engaged in the production of polyurethanes, are required to monitor the environment. This means that there is tight control over the produce and can be recycled. Recycling allows the manufacturer to get more profit using and then realizing high-quality secondary raw materials. It also significantly reduces the risk of environmental pollution and releases from company duty constantly to look for a place where to put waste. Today, there are several ways of processing solid waste – chemical, physical and recupere energy. 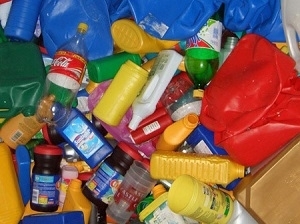 The choice of method of processing depends on the quantity and quality of waste, the cost of the processing and collection points. To increase additional profit to help those points of reception, where not only buy raw materials, and conduct primary processing. Chain “deliverer waste collection point – processor” should be based on a reasonable and mutually beneficial cooperation, which will encourage all parties, as naked enthusiasm has never brought the case to the end.